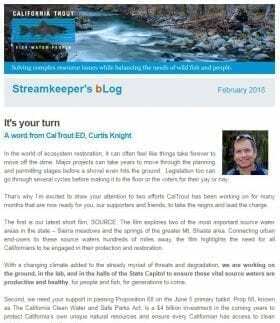 Speak up against raising Shasta Dam | California Trout, Inc.
UPDATE: Success! We put an end to the sneaky bill provision that would have fast forward expansion of Shasta Dam. Thanks to YOU and our Representatives in Congress, the provision was stripped before the latest budget was approved by Congress. However, the battle to stop the expansion of Shasta Dam by 18.5 feet is not over. There is still $20 million in federal grant money that can be accessed for the project. The U.S. Bureau of Reclamation will have to decide if it can be spent for initial work on the dam without violating federal cost-sharing rules. The project will still have to move through major legal and budget challenges that will likely cause delays, and hopefully end it altogether. 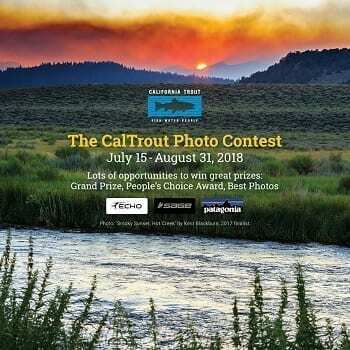 You can fully expect CalTrout to remain committed and push back until it’s off the table and a California river is protected, at least for one more day. Back in 2013, the Bureau of Reclamation (BOR) conducted a feasibility study for raising Shasta Dam by 18.5 feet which would increase water storage by approximately 13%. Shasta Dam and Reservoir is the cornerstone of the Central Valley Project which provides irrigation and drinking water for much of California’s Central Valley and parts of, and valleys just south of, the San Francisco Bay Area. 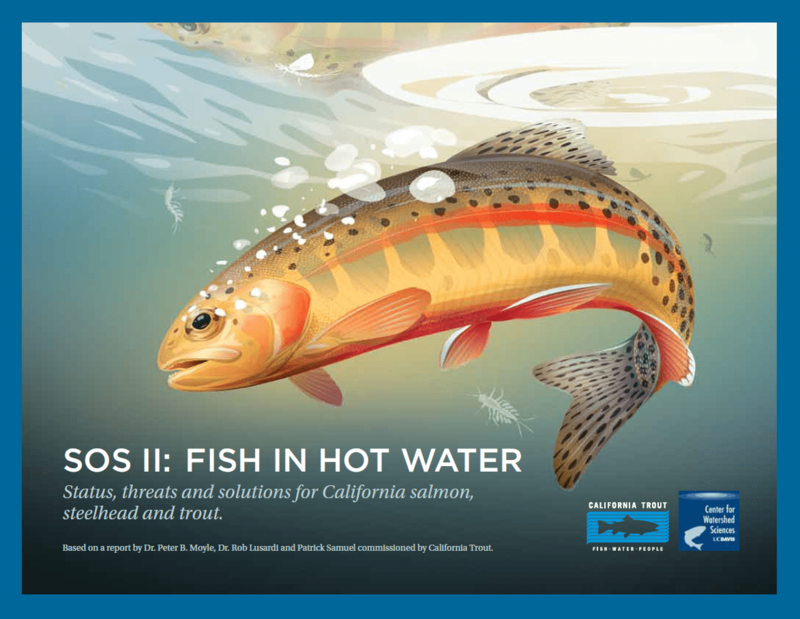 At the time of the study, California Trout submitted comments on the BOR’s Draft Feasibility Report outlining our concerns on behalf of native fish and their waters. 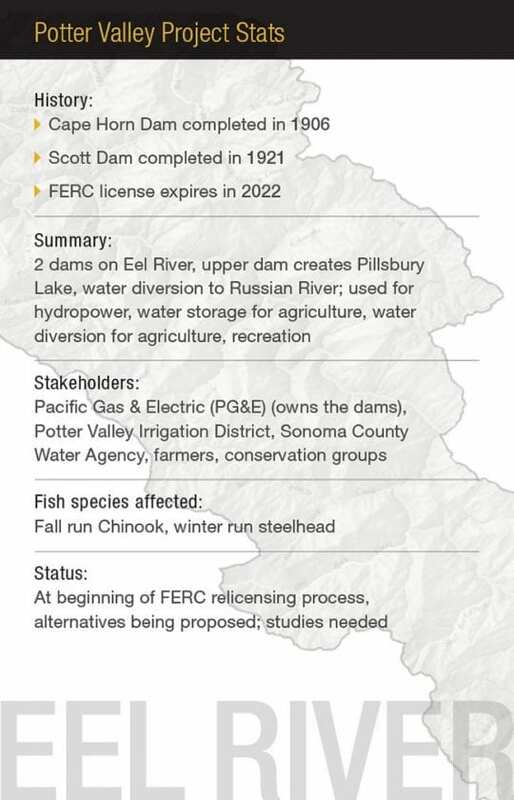 Ultimately, the BOR did not recommend raising the dam for several reasons, not least of which was the need to have California (a non-federal partner) pay for half the estimated $1.3 billion cost. 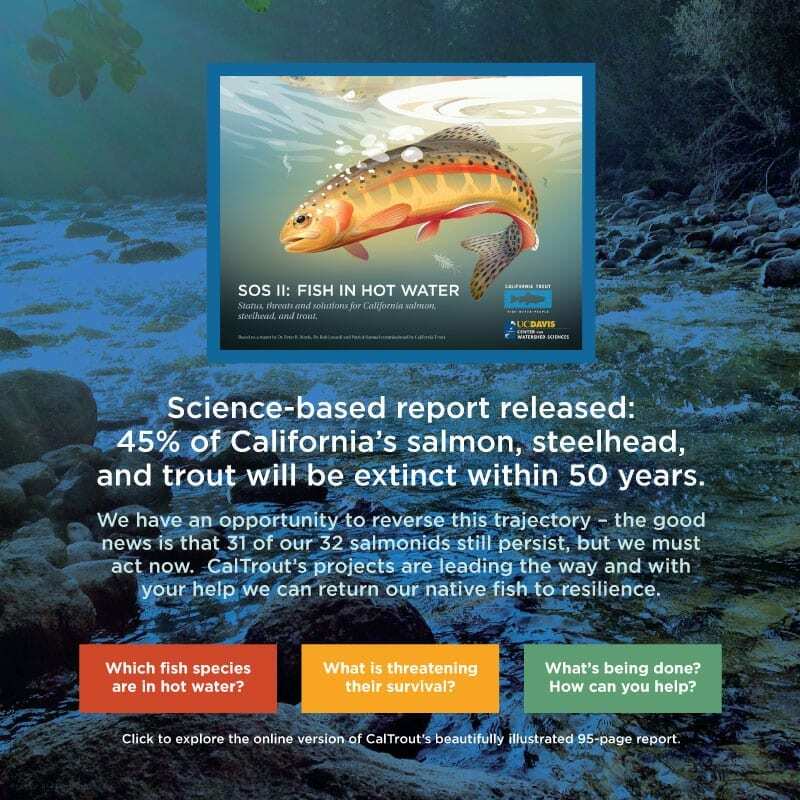 California Trout remains opposed to raising Shasta Dam and we need your help to stop it. 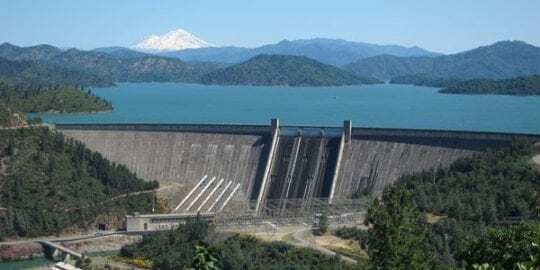 The raising of Shasta Dam would further inundate up to three miles of blue ribbon wild trout fisheries on the Upper Sacramento and McCloud Rivers. The McCloud River has given enough. 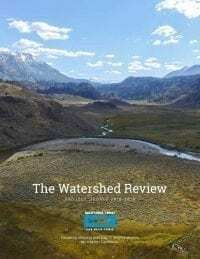 Two dams on the river have already inundated miles of its pristine habitat and the dams block access for anadromous fish and divert over 80% of its flow for hydropower. The McCloud River is protected under the state Wild and Scenic Rivers Act. 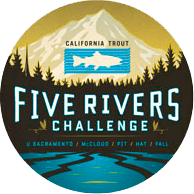 The CA Legislature has found and declared that the McCloud River ‘possesses extraordinary resources in that it supports one of the finest wild trout fisheries in the state’. The free-flowing waters of the McCloud are legally protected–rolling back these protections sets a dangerous legal precedent. The actual yield of more water from an enlarged reservoir are uncertain. As proposed, the 18.5 foot raise would cost $1.3 billion and increase storage by 13%. But that is only under years when the reservoir actually fills. The cost doesn’t support the potential storage and all the cost will be put on federal taxpayers. 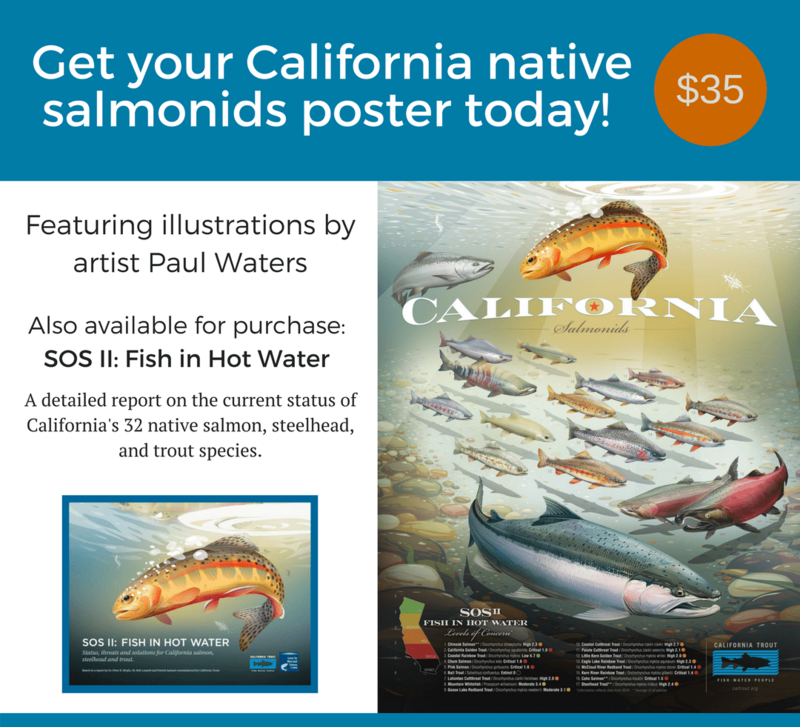 The Bureau of Reclamation claims the raise will benefit Central Valley salmon. We don’t buy it. The United States Fish and Wildlife has strongly questioned the Bureau’s claim. 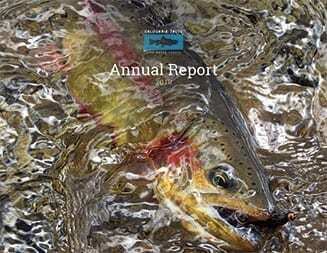 The USFWS also noted that improving the dam’s existing temperature control device, restoring downstream spawning gravel, increasing access to historic floodplain habitat, improving fish passage on tributaries, increasing minimum flows, and screening water diversions all increase salmon survival more than the dam raise. We agree! 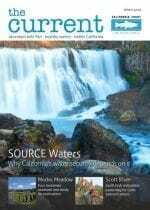 California’s effort to increase water supply reliability should focus first on increased groundwater storage. 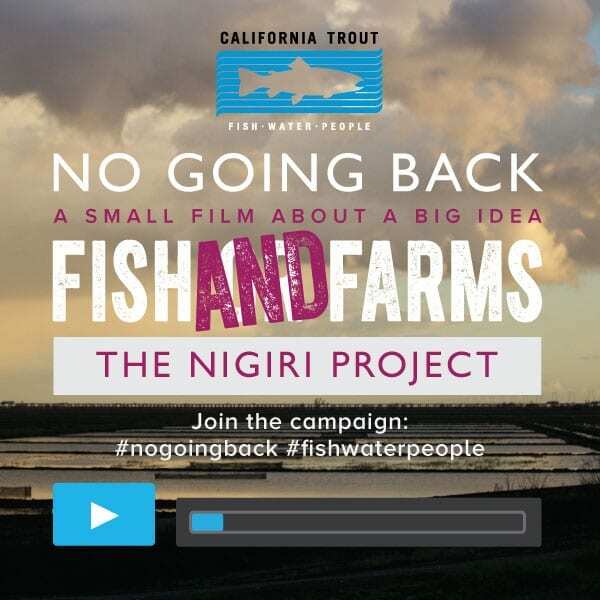 Storage projects that make sense for fish, water, and people. Multi-benefit storage projects should be the focus alongside smaller reservoir facilities that support public benefits. Water use efficiency and conservation should not be overlooked to meet California’s growing water needs. During the drought, Californians tightened their belts—reducing demand by 30% in critically dry years. California needs increased investment in urban and agricultural water use efficiency, stormwater capture and reuse, and water recycling. Please write to your Senators and Representatives in Washington and tell them you oppose this plan. We’ve written a sample letter that can be sent fast and easy. There is no time to waste. Click here to send a letter to Congress opposing the expansion of Shasta Dam.